China has accused the United States and Japan of making "irresponsible remarks" over the South China Sea and Taiwan during the recently held Shangri-La Dialogue. 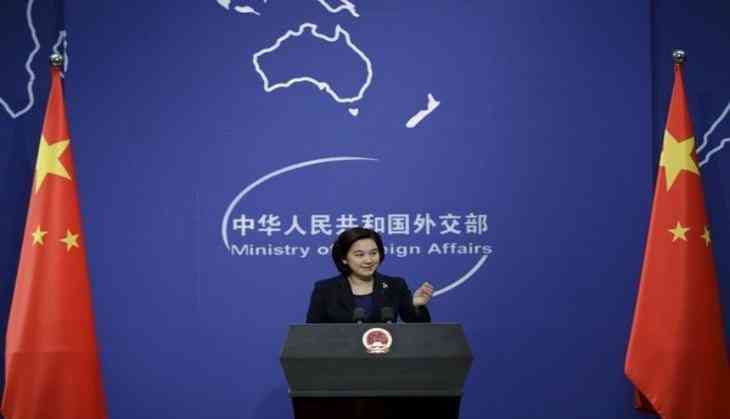 Stressing that China has indisputable sovereignty over the Nansha islands and their adjacent waters, the Global Times quoted Chinese foreign ministry spokesperson Hua Chunying, as saying over the weekend that Beijing has always been committed to peacefully resolving disputes through consultation and negotiation with countries directly concerned. "China has always respected and maintained the freedom of navigation and overflight in the South China Sea in accordance with international law. China's construction projects on the Nansha islands are aimed at improving working and living conditions of staff there while better fulfilling its international obligations," Foreign Ministry Spokesperson Hua Chunying' said. U.S. Defense Secretary James Mattis had earlier taken aim at China's growing 'militarisation' during the Shangri-La Dialogue, saying that while North Korea is an urgent military threat, one must not lose sight of other strategic challenges to regional peace and prosperity. Mattis also said that while Washington welcomes China's economic development, economic and political friction between the two sides is anticipated, as the United States cannot accept Chinese actions that impinge on the interests of the international community. Referring to the 2016 ruling by the Permanent Court of Arbitration on the case brought by The Philippines over territorial rights in the South China Sea, Mattis called on all claimants to use this as a starting point to peacefully manage their disputes over these waters. In an apparent reference to China, he also opposed countries militarising artificial islands and enforcing excessive maritime claims unsupported by international law. Meanwhile, the situation in the South China Sea has improved and shown positive development momentum, the spokesperson said, citing the success of the first meeting of the China-Philippines bilateral consultation mechanism, and the agreement between Beijing and Asean countries on the framework for the Code of Conduct (COC) in the disputed region. China urged the US to stop selling arms to Taiwan and terminate any official exchanges so as to guarantee the development of bilateral relations.